Hold the phone! How come no one told me about how good lentils are?!? 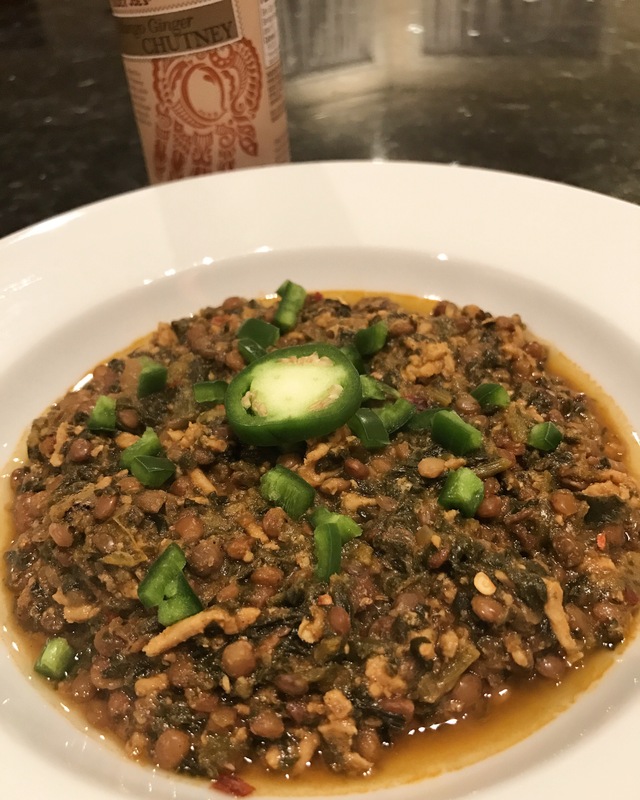 I’ve always wanted to cook with Lentils but wasn’t sure how to incorporate them or how to cook them properly. This time around I used Trader Joe’s ready to eat Lentils and they worked out great in the crockpot. Since it was cold and rainy, I added ground beef for additional meatiness and the spices to warm me up. It was the perfect comfort food and confession, I went to bed dreaming about how good they were that I ate them for breakfast! Throw into a crockpot and cook on low for 6-7 hours. Serve with whole wheat naan, chopped jalepeños for more heat and a dollop of Mango Ginger Chutney. Previous postWhat to do when you are not seeing results?